The annual Seeds of Change Gala features dinner, dancing, and auctions. Casa de Paz Maricopa, a domestic violence shelter, is full and now needs ongoing funds for maintenance. For the past 10 years, Against Abuse, Inc. has raised money through the formal Seeds of Change Gala to build the home for women and their children escaping abusive relationships. The home was completed in 2015. For the 11th annual gala, money raised will go to the expenses of running the shelter. 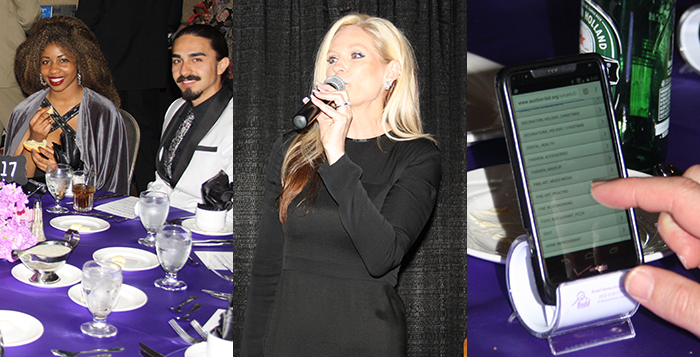 The gala is Feb. 27 at the Elements Event Center at Ak-Chin Circle. “It’s just always nice to have something new, a new venue. It’s refreshing for our guests,” Anderson said. Because the event will not be in a gambling venue this year, she said, Maricopa High School DECCA Club and student council volunteers are able to participate. Anderson said that will allow the students to earn required community service hours. The Pearls & Pinstripes theme is a trip back to the jazz age. TapSnap will also be taking photos of individuals and groups. Cocktails, the silent auction and music by A Touch of Class start at 6 p.m. Dinner and the live auction begin at 7:30 p.m. There will be raffle drawings throughout the evening. From 9 to 11 p.m., there will be music from About Last Night for attendees’ dancing pleasure. Cost is $85 per person or a table for $750. Last year, the event raised $45,000. Anderson estimates it has brought in more than $1 million over the last decade, not including in-kind donations. According to the Maricopa Police Department, of the 42 contacts made through the Victim Assistance Program in January, 24 were for domestic violence. Raised funds go to the home base of Against Abuse in Casa Grande, which holds the 501(c)(3), and then is distributed back to the Maricopa shelter for its clients. Operational costs for Casa de Paz Maricopa include summer programs, utilities, gas to go to and from work, diapers and other needed items. Anderson said a $25 donation could feed a family for a week. A donation of $50 could buy medications for a month, and $100 could buy clothing for the women and children. Seeds of Change will take donations for the silent auction up to Feb. 25. Visit SeedsOfChange.org to see auction items. Bidders will be able to bid via phone during the evening. Those not attending will be able to bid on items as well.